Our simple one-line Search menu is displayed at the top of all pages, and accepts keywords to initiate a basic search. Just type in a keyword or two related to what you are looking for, then click on the magnifying glass button (or simply click Return/Enter on your keyword) to perform the search. 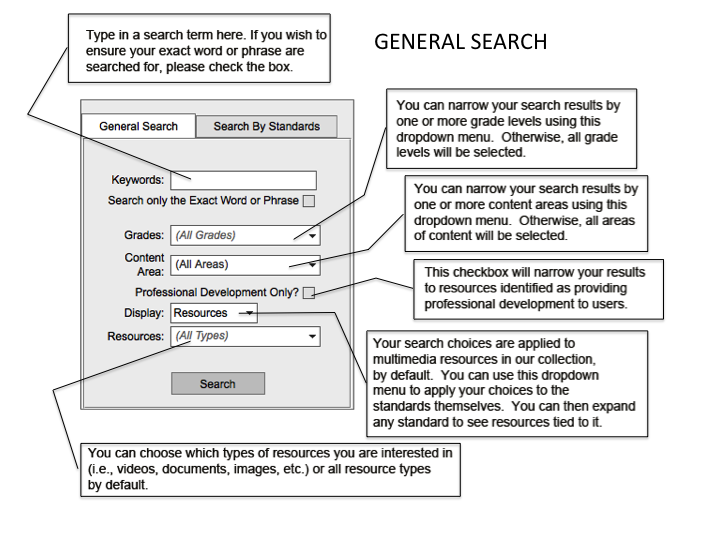 General Search - continue your search by keyword(s), and even filter your results by grade level(s), content area(s), resource type(s), professional development and more. Search by Standards - search by a specific standard code (i.e., w.k.1, rl.2.5, etc.) and filter your results by resource type. Be default, you'll see Resources related to the standard you searched for. 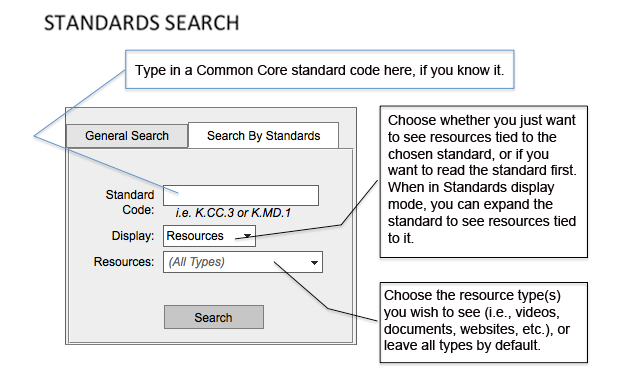 If you'd like you can even swap over to Standards to apply your keyword search to the Common Core standards themselves.